Rockman Corner: Rockman At the Osaka Science Museum? 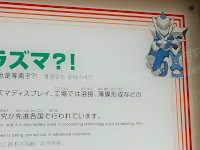 Rockman At the Osaka Science Museum? Fancy that; an interesting mix of your run-of-the-mill Rockman X armor, a bit of a Shooting Star Rockman motif (i.e the helmet), and a pinch of Zero series elements. The character is apparently plastered throughout the children's wing, acting as a mascot for the energy-based exhibits. 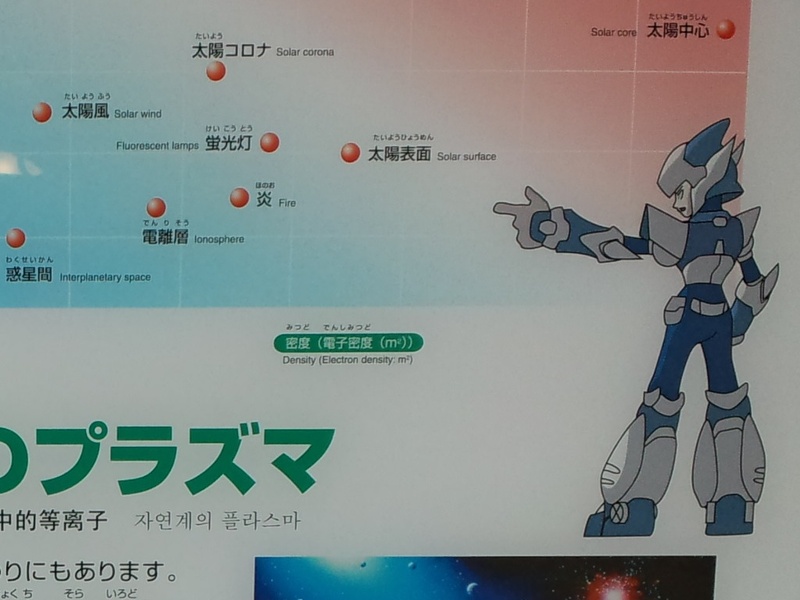 Interestingly, the nod to the Blue Bomber goes beyond aesthetics: a video presentation depicts the character using solar energy to power a Rock Buster-ish weapon... the very same source of energy consumed by Rock's own Buster. No footage of that, but I imagine it must've been pretty nifty. 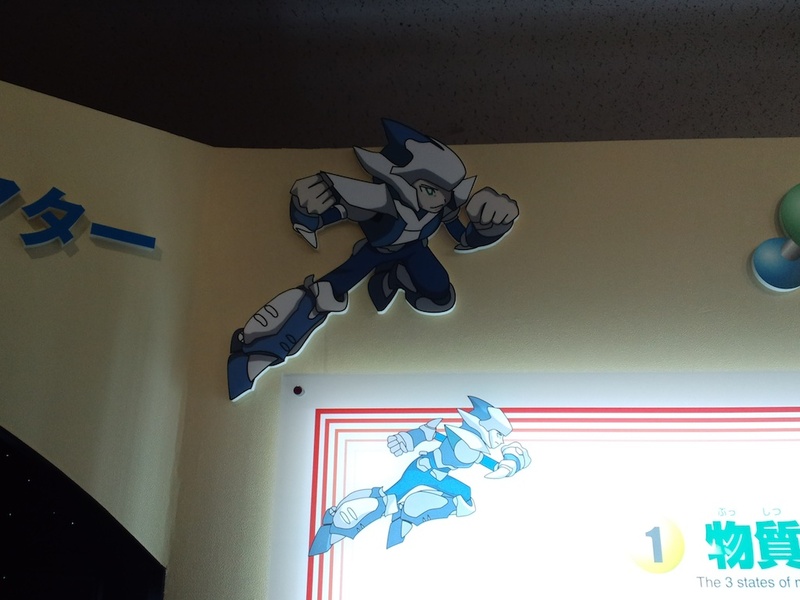 We've seen plenty of Rockman doppelgangers here at Rockman Corner, but none so... cool. Usually they're a mess; a conglomeration of random iconic assets hastily put together. But this? This guy's actually pretty slick. Whoever designed this fellow was clearly a fan. WHoa, I'd buy a toy of him. You know, that looks like badass character from the X universe! Lets say he is a class B Maverick Hunter that manipulates electromagnetism to float, attract objects or enemies, repel enemies with his own makeshift AT field; but he needs an external battery strapped to his back to power his electromagnetic abilities without draining him of power, but he can if in a dire situation or to enhance his individual abilities greatly. And since he looks similar to a bird and the Falcon Armor He will be called "Falcone". He also was a close friend to GBD prior to his death in the intro of MMX2. I'm getting a Ken Sugimori vibe here.. 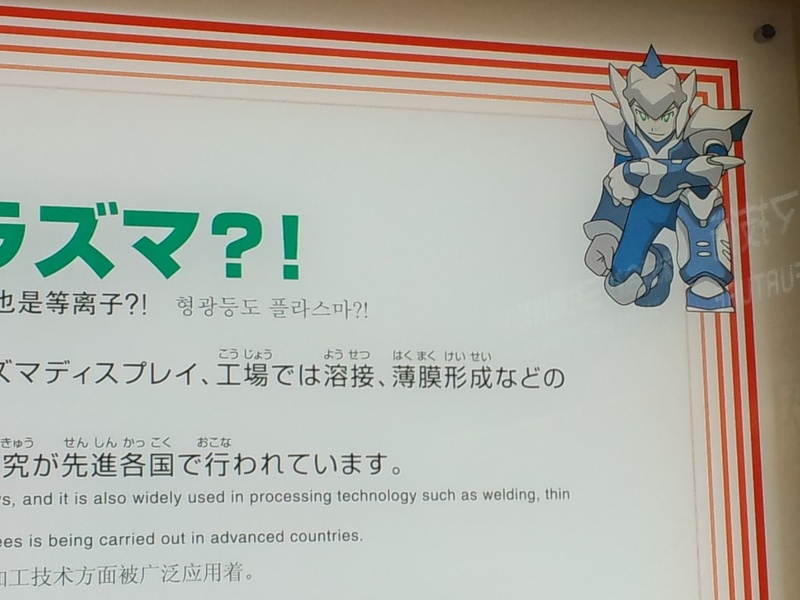 I dunno, Rockman is hardly the only armored anime character in the world. This just as much reminds me of Gundam, to be honest. I see the Rockmanness. The armor reeks of MMX, the head has the whole Star Force thing going on. A bit complex and bulky to be from X, not enough detail to be from MMBN/MMSF, but the buster definitely tells where they got part of the ideas. At least the motifs in the armor design. looks like a gundam to me. i want to say gundam alex, but those legs resemble the zeta quite a bit. however, i do see the mega man influence. a fan? maybe. but a fan of gundam as well. please tell me i'm not the only one that sees this. It's a very high-tech MM. If you can't see the resemblence by the middle picture, you need glasses. The chest, too, is very X-ish. The helmet is a dead giveaway, though. Oh totally. 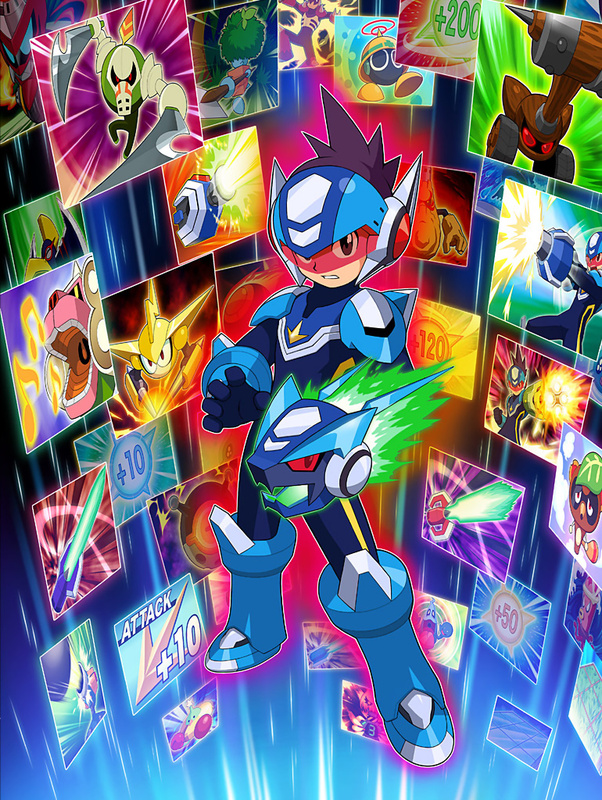 This reminds me more of Pulseman than Rockman. "A bit complex and bulky to be from X"
*falls over laughing* Ah hah hah hah, oh wow... hold on, let me read that again... Yup, still funny! @Anon 3: What's wrong with Ken Sugimori? Aside from that, this looks pretty cool! Could it be the new Fanon Mascot?! Jokes aside, this is pretty sweet. Well, mostly the helmet. Yeah, it screams the X2 armor, but there's still so much bulk to it, can't really say that it's specifically X. And the leg armor...multi-part? No, most of the X armor designs were one solid part with fins or some other detail. The body, though, yeah, that's definitely influenced by later series. I don't think he was bad-mouthing Ken Sugimori at all, I think he was referring that the design style of this Rockman look-a-like reminded him of Ken's art style, probably earlier style. And I can see where he is coming from, I'm reminded more of Pulseman. Seriously, look it up. Yeah he does kind of look like a mix of the things he must have liked in the past. i'm not getting the pulseman vibe here. pulseman looks like either protoman or MMZ zero (seriously, what's the proper term for him?) mixed with classic sonic. still only one person agrees with me on his gundam appearance? wow. not many gundam fans here then, because it's just blatantly obvious. Oh man, those pants. I demand the world to create pants and a vest like that so that I can wear them. The complex part, I can understand. That seems to be some influence from the Zero art style, with some RnR thrown in for good measure. But bulk? The bulkiness of the characters in X and Classic is actually one of the reasons I prefer the Zero/ZX era. Of course, I'd love to see the characters from each generation done in each other's style. That'd be kinda cool, you know? Classic/X line drawn in Zero style meeting Zero/ZX line drawn in classic style... I'd make that pic my desktop wallpaper in a heartbeat.